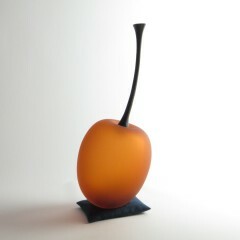 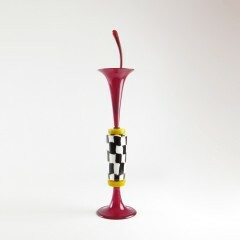 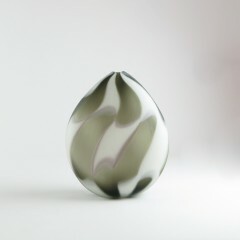 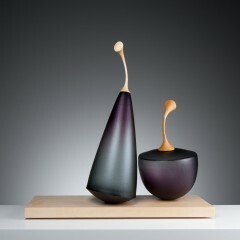 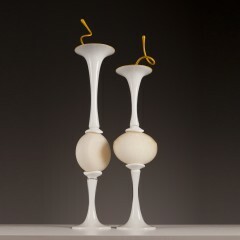 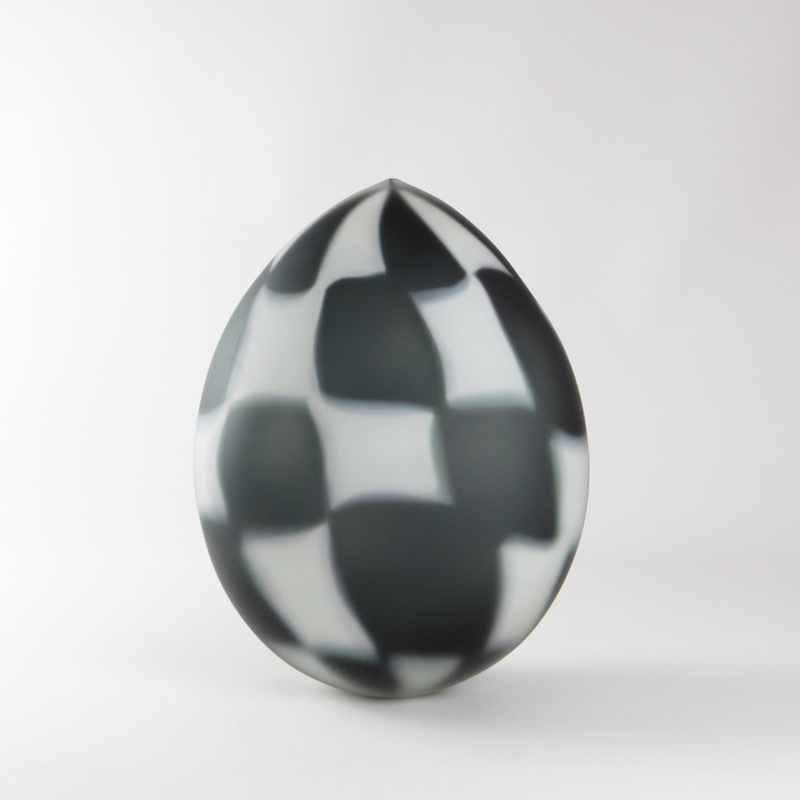 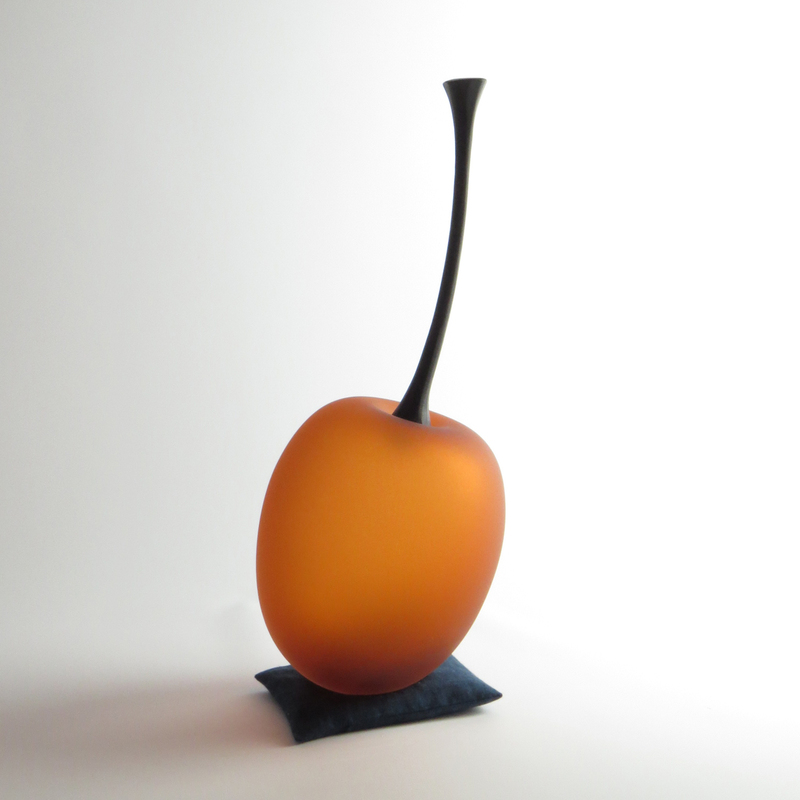 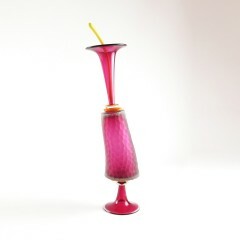 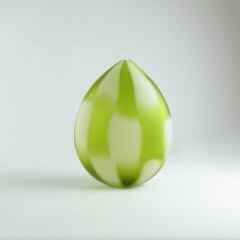 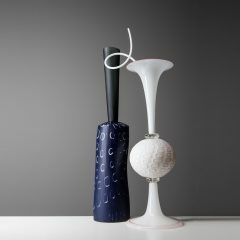 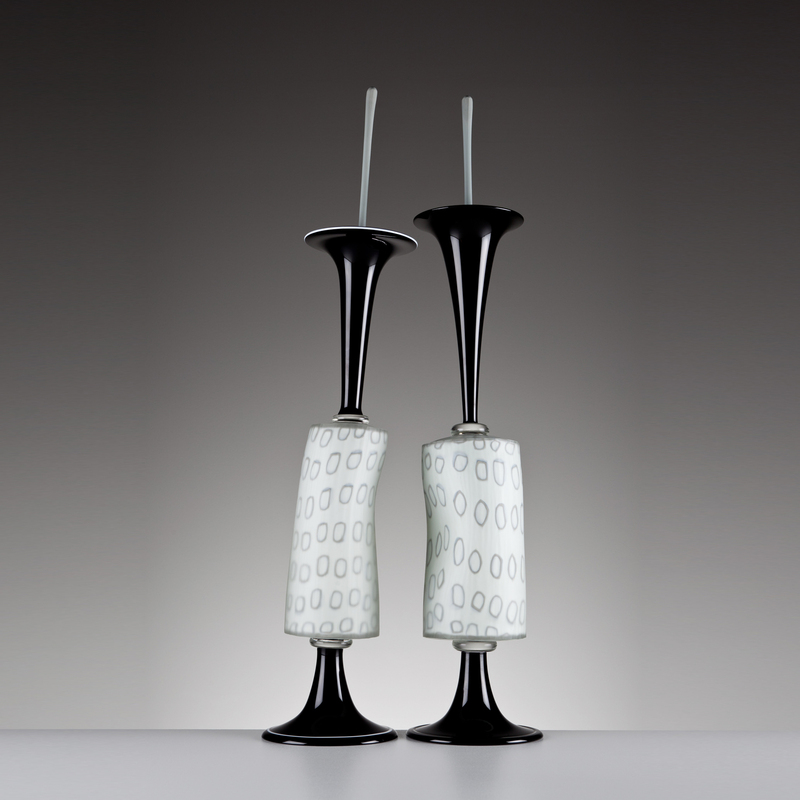 Since the mid 1970’s Nick Mount has been working on a developing studio arts practice in glass. In partnership with Pauline Mount, he has established a wide reputation for his production, commissions and exhibition work, and is now regarded as one of Australia’s preeminent glass artists. 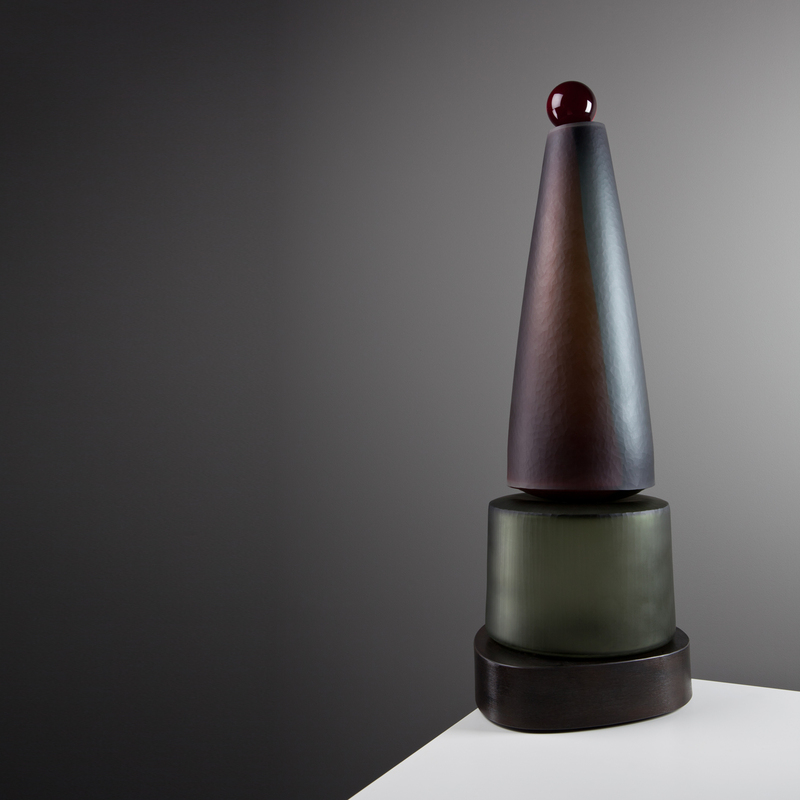 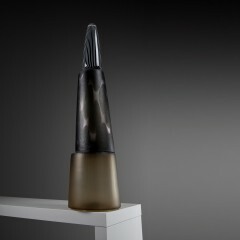 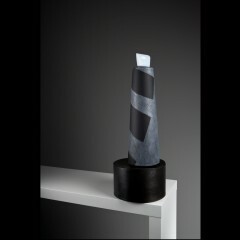 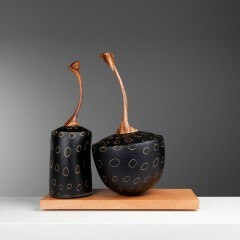 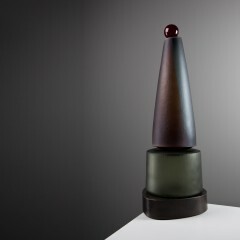 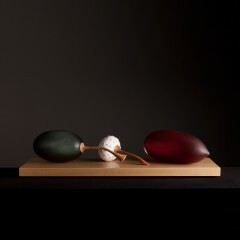 Since 1997 his work has focused on the development of an evolving series of sculptural forms entitled ‘Scent Bottle’. Around a constant motif of a stoppered vessel, finely crafted glass forms are used in the construction of works that refer to the artist’s passion for the traditions of his materials and the people that work them. 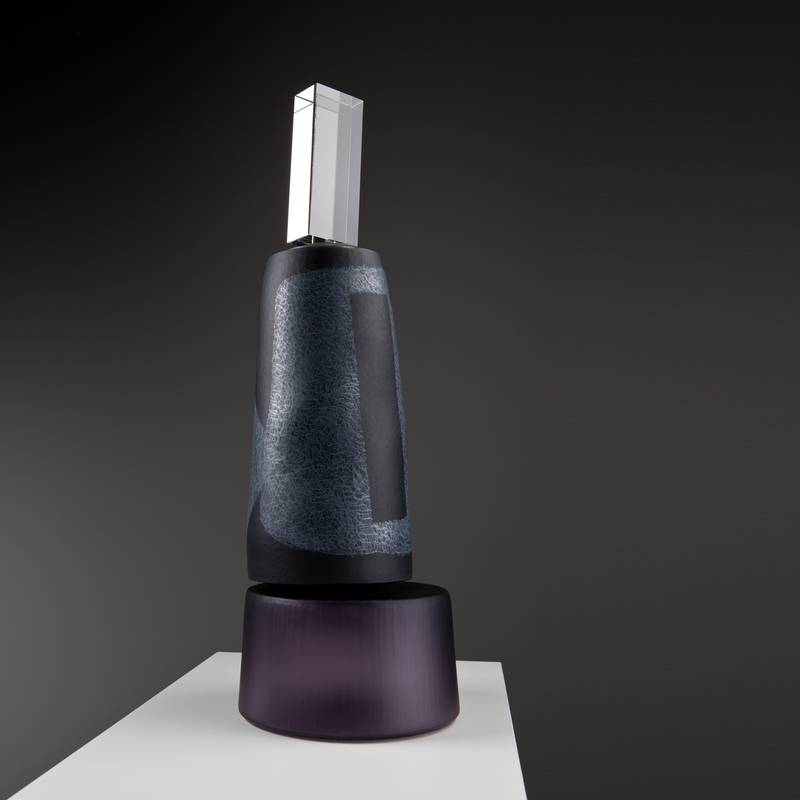 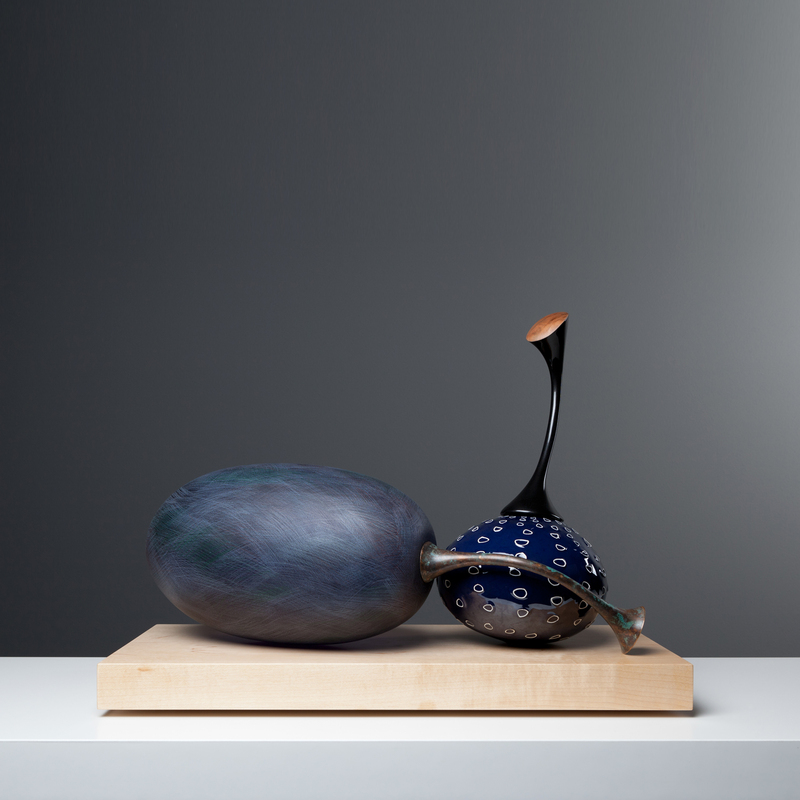 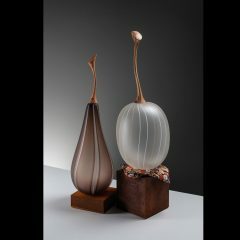 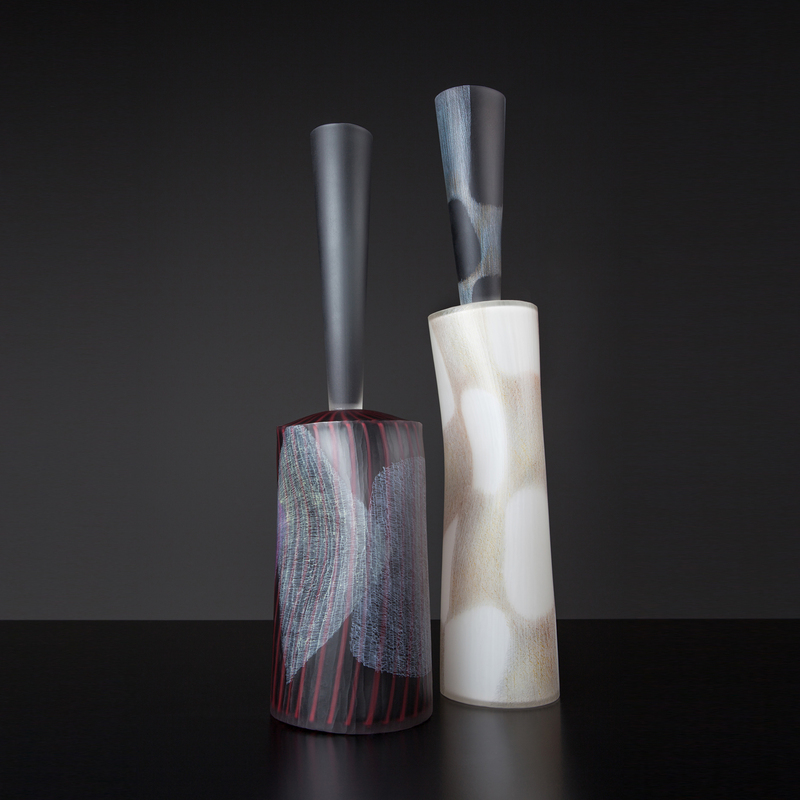 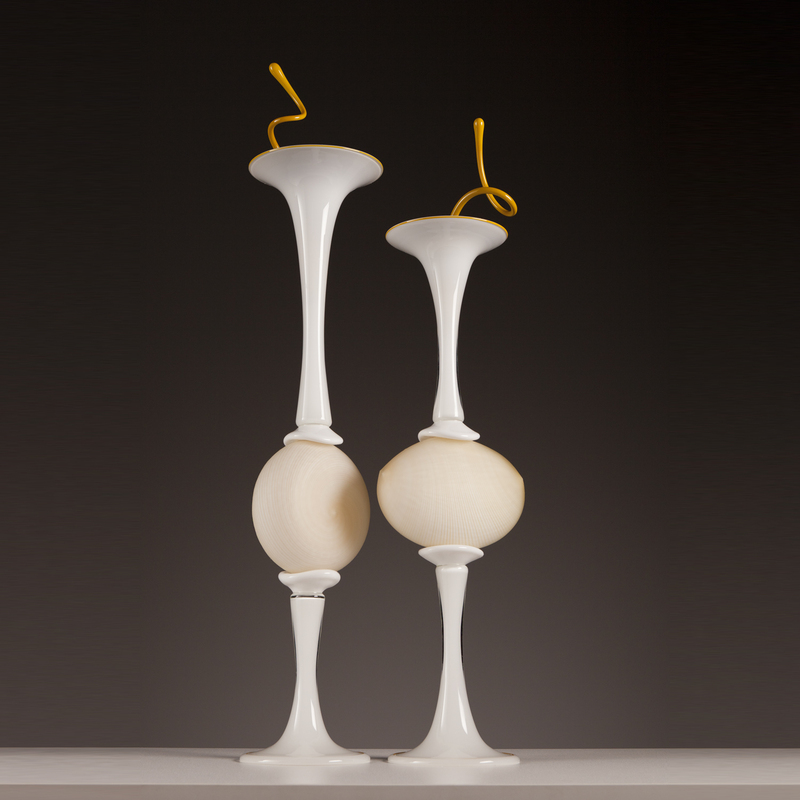 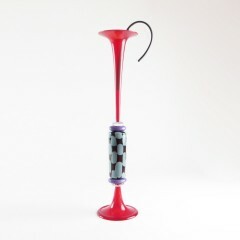 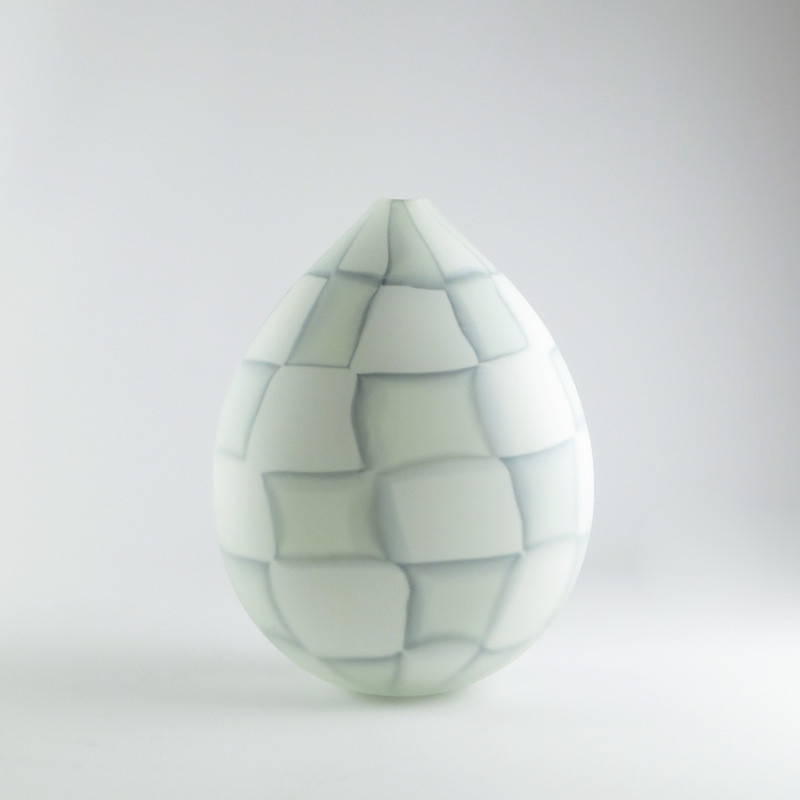 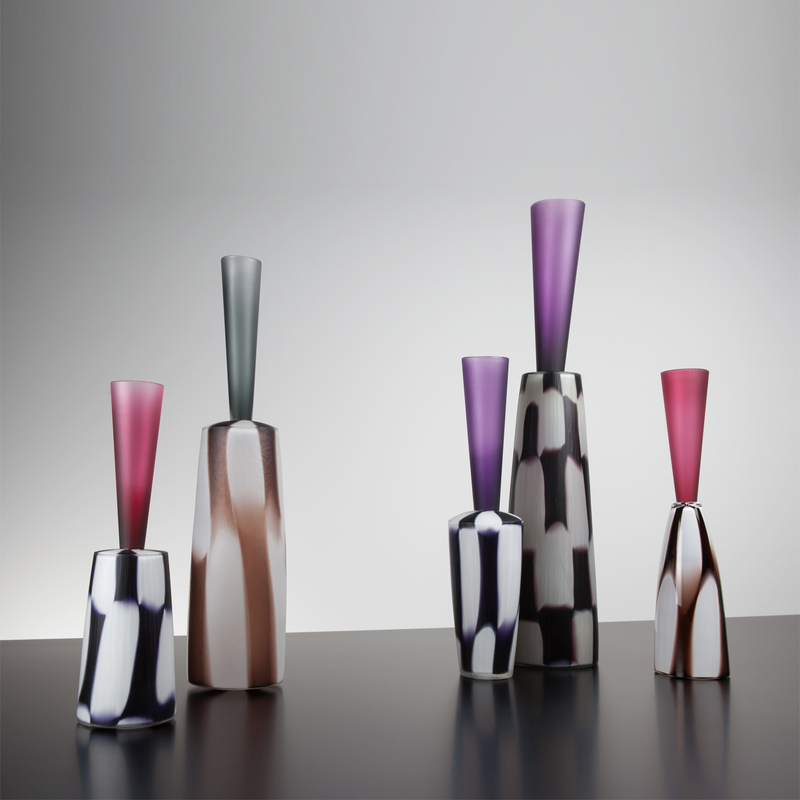 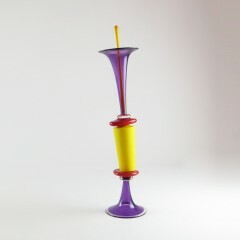 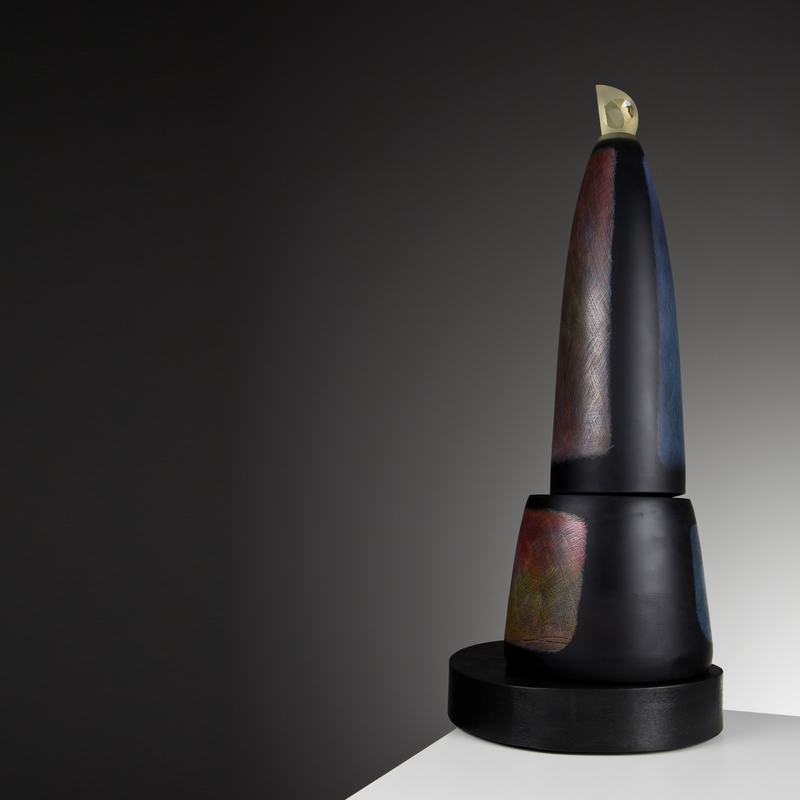 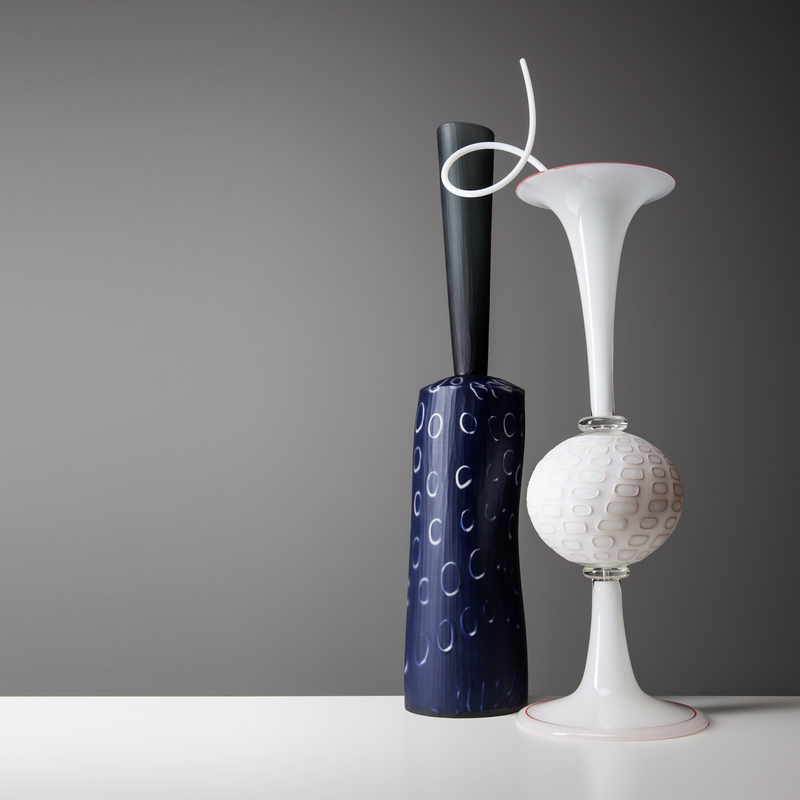 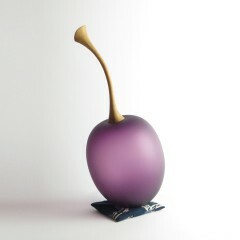 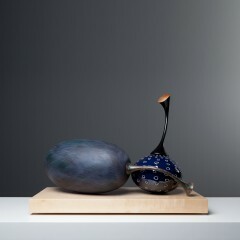 Wendy Walker, makes the following statement in her February 2004 catalogue essay; ‘Assembling the scent bottle components in a striking symbiosis of the experimental and the historical, he deftly counterbalances transparency with opacity, delicacy with vibrancy and the attenuated with the voluptuous. In Mount’s shifting, evolving compositions – wherein he seeks to impart a trace, or more aptly, a scent of their maker – the single immutable element remains the formidable extent of his technical vocabulary. 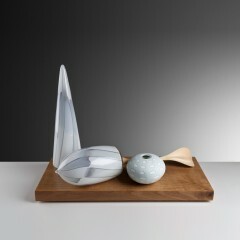 Nick was awarded the title of Living Treasure in 2012 as part of Sydney’s Object Design Centre’s touring exhibition program. 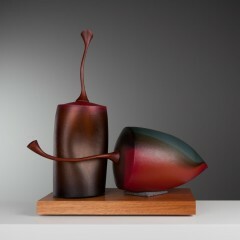 Nick continues to travel to teach and exhibit abroad, but remains based in Adelaide, South Australia. 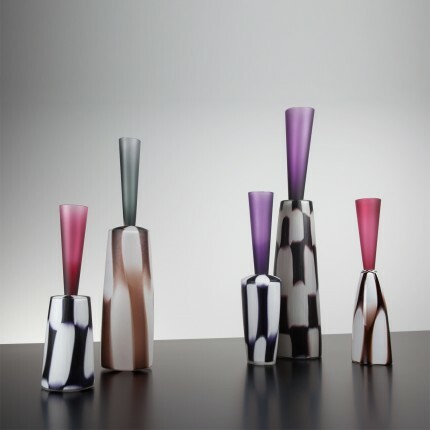 His work is represented in major public and private collections all around the world, and is considered one of the most important and influential figures in contemporary Australian studio glass today.